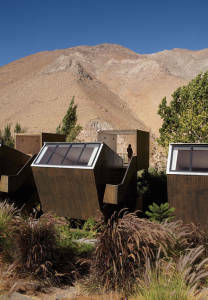 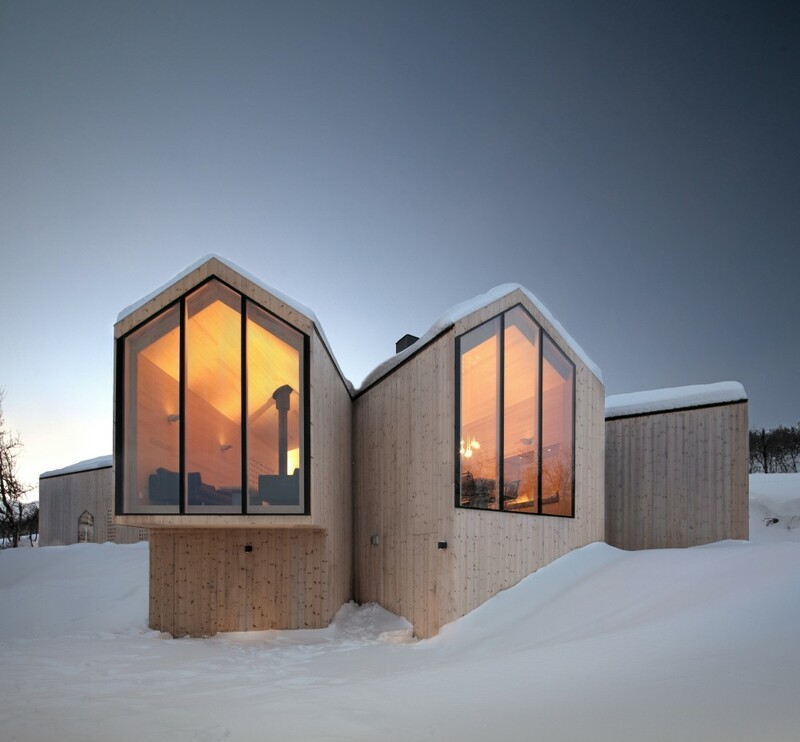 This pair of alpine cabins were designed and built by Armin Pedevilla of Pedevilla Architekten to serve as both a residence for his family, and as a holiday rental for visitors to the area. 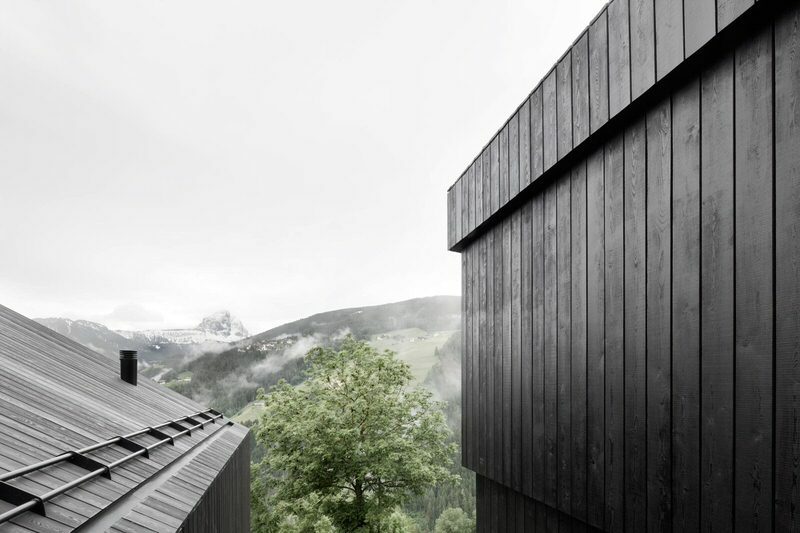 The traditionally composed alpine cabins feature an exterior of blackened timber and a light interior of white dolomite concrete and pine. 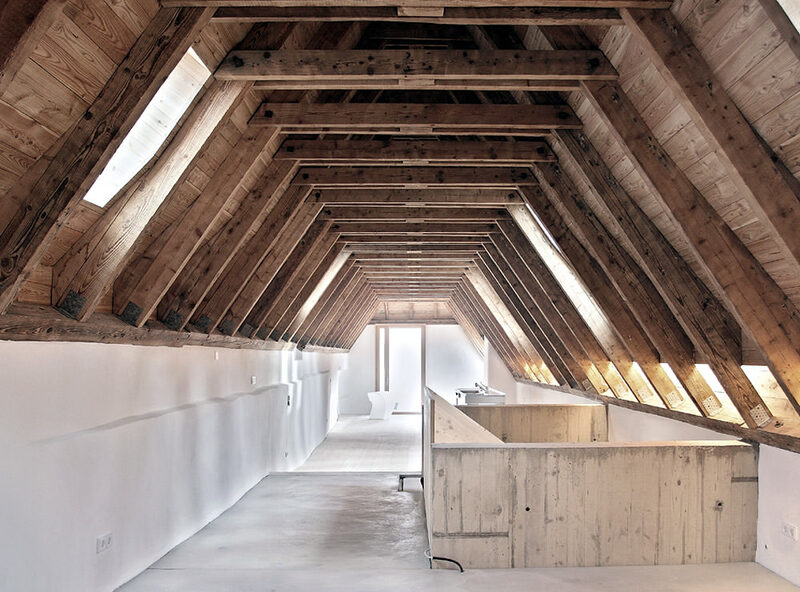 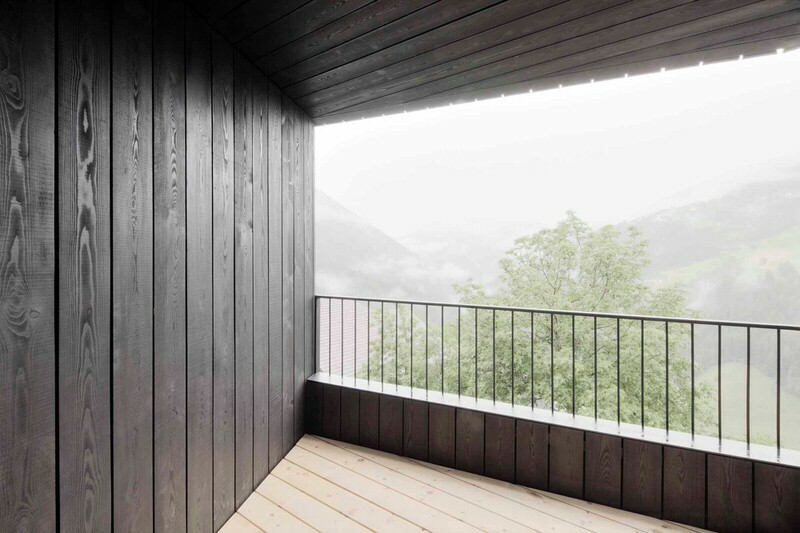 The site is located in the South Tyrol region on the Italian-Swiss-Austrian border and the buildings largely abide by the vernacular of Tyrolean farmhouses, whilst still incorporating starkly modern aesthetics. 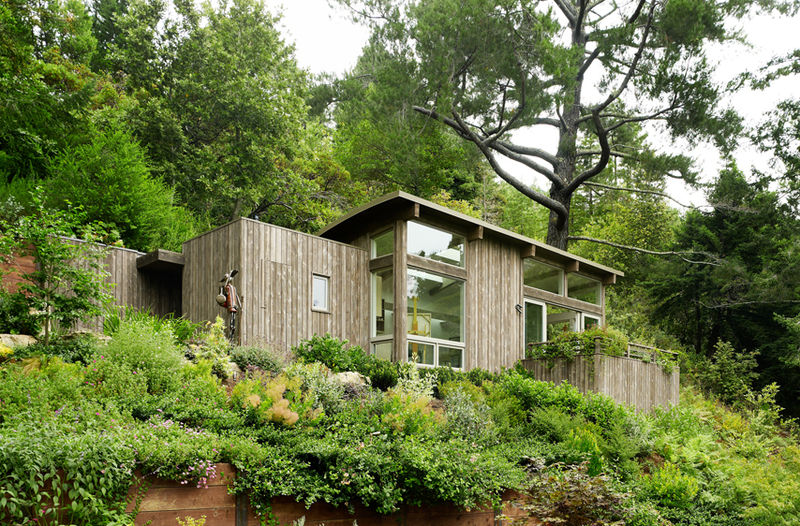 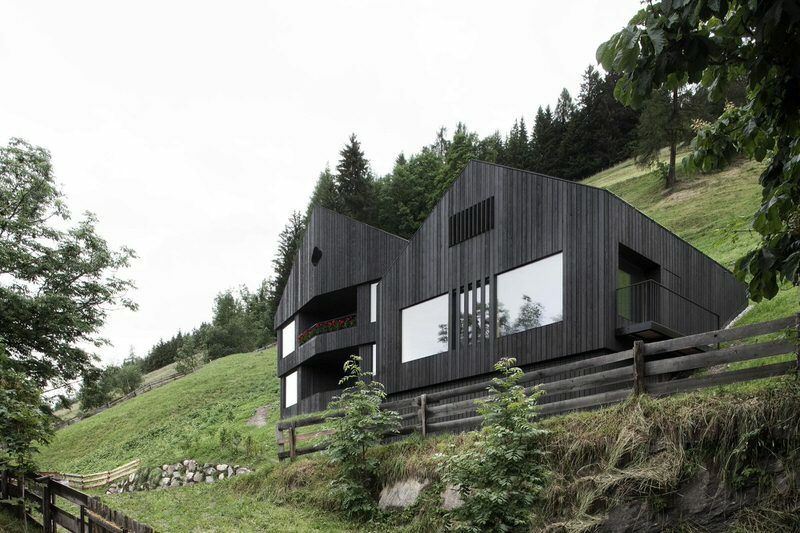 This is noticeable in the cut-out details seen at the fold of their definitively pitched roofs, which serve as minimalist iterations of the traditional decorative features typically seen in chalets. 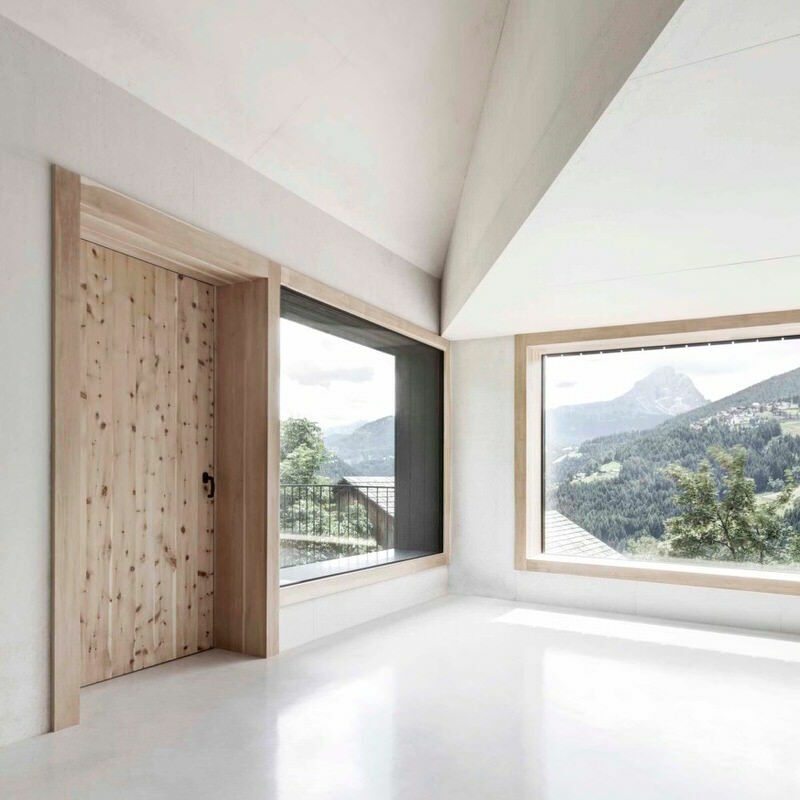 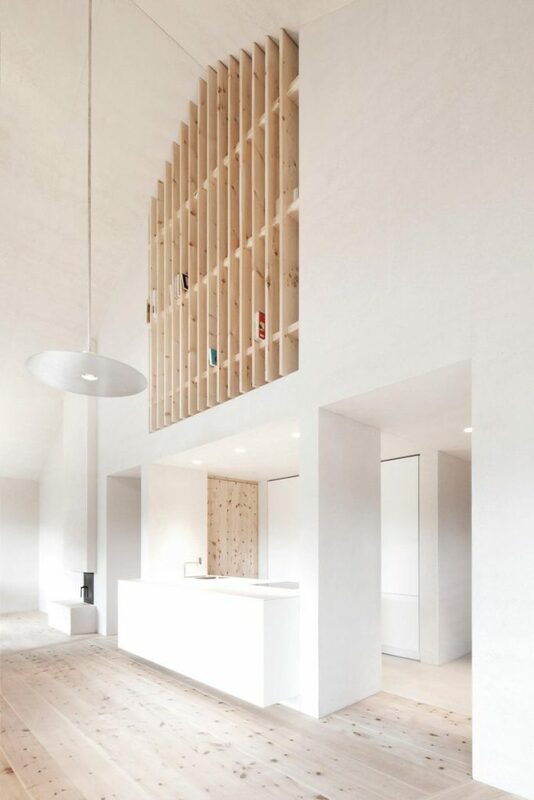 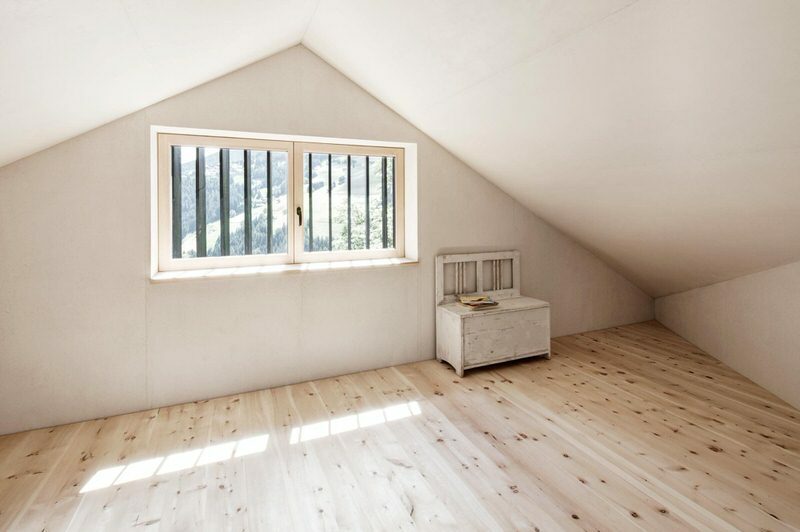 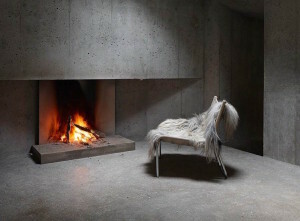 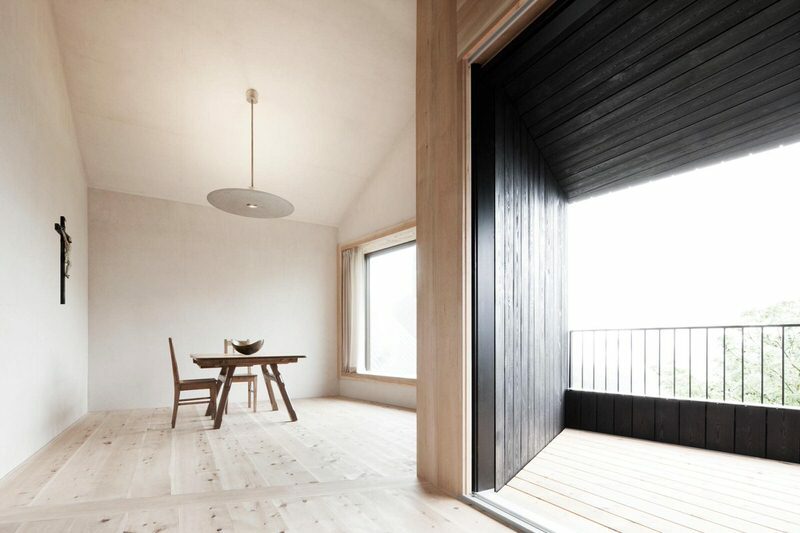 Local materials feature heavily in the Pedevilla Alpine Cabins, most noticably in the Swiss pine wood used in the joinery and furniture, but more subtly in the white dolomite concrete featured in the stairwells and in the polished concrete floors. 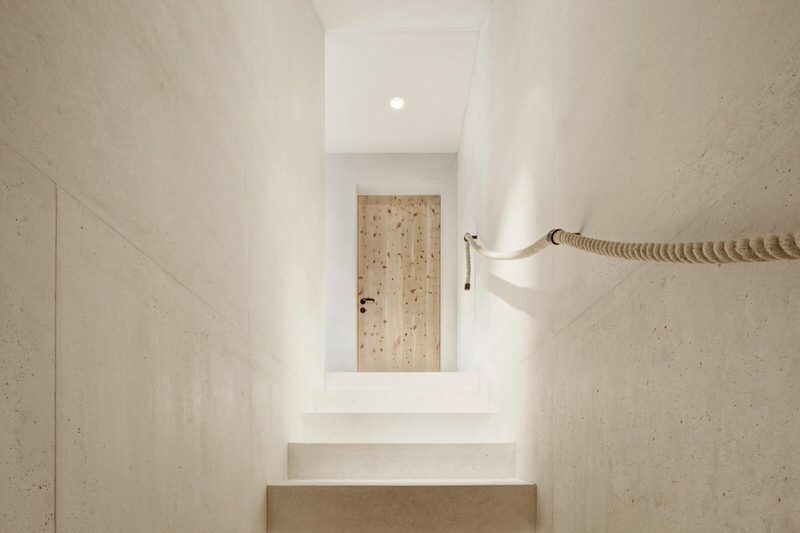 This mix of concrete was blended with stone fragments sourced from the Dolomite Mountains which serve as a backdrop to the cabins themselves. 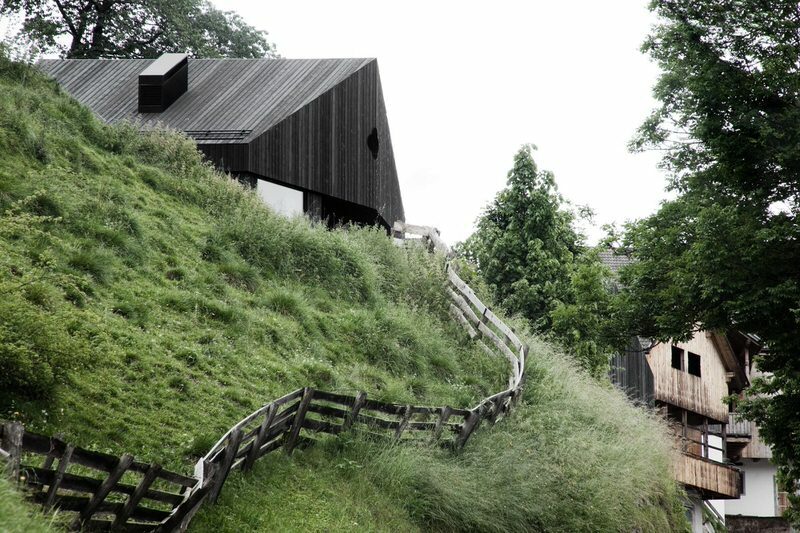 The project has been uniquely portrayed by photographer Gustav Willeit in this set of photographs. 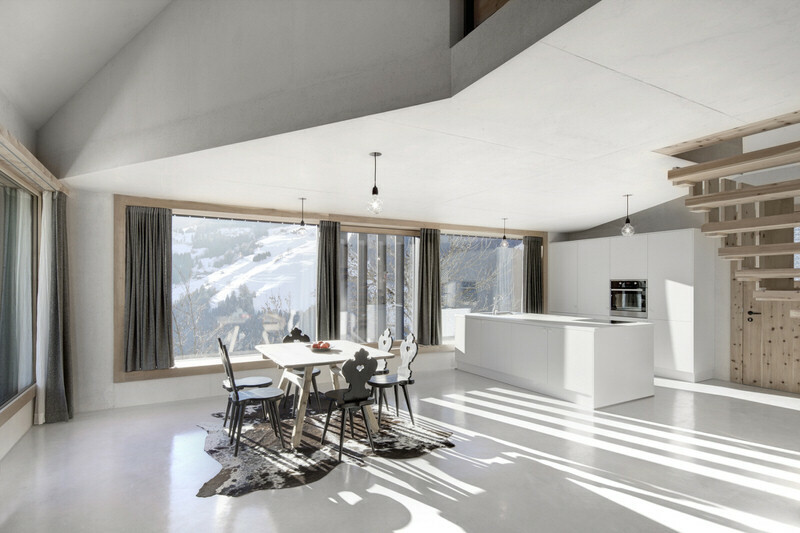 Pedevilla Architekten have received multiple design awards for this pair of alpine cabins including the German Design Award 2015 and a Gold A’Design Award. 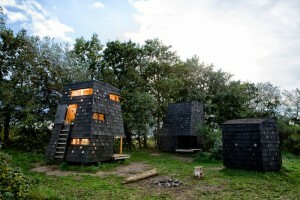 The smaller of the two cabins can be rented as a holiday home with details available here.